Flying a micro drone through some of the most notable landmarks in the world is risky, but Team Farins made it happen in one of the most historic cities in the world - Rome, Italy. Flying through the ancient Roman Forum and Colosseum, around several Bernini sculptures and fountains including the Trevi Fountain, up the Spanish steps and beyond this is one crazy, epic compilation of flights. Description: Roma, come non la avete mai vista. Questo video è stato realizzato con un micro drone inoffensivo della grandezza di 75mm (peso 50g) per farvi vedere Roma da un punto di vista diverso, unico e moderno. 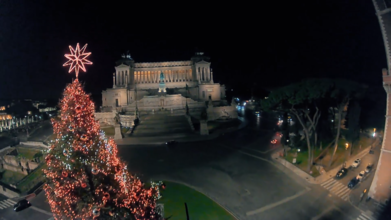 Rome, as you've never seen it before. This video was made with an inoffensive micro drone of the size of 75mm (weight 50g) to show you Rome from a different, unique and modern point of view.